Thanks to the likes of Meghan Markle and Queen Letizia, we never have a dearth of good royal outfits to cover. You can often find us breaking down each woman's personal style, including the items Markle wears the most, but it's also interesting to analyze how royal style compares across countries. As it turns out, princesses, queens, and duchesses in England, Jordan, Spain, and Saudi Arabia are often on the same page sartorially. 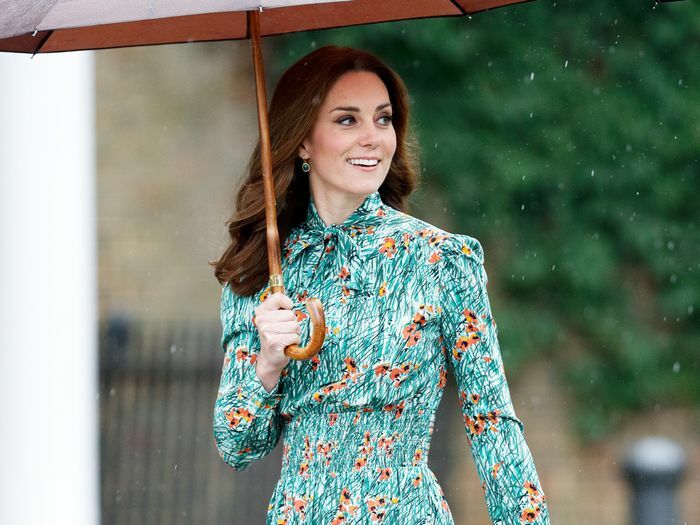 Princess Deena Aljuhani Abdulaziz, Kate Middleton, and Markle, for instance, all share an affinity for caped dresses and have all worn different versions of the trend for formal occasions. Meanwhile, Queen Letizia has the right idea about blazer dresses, and Queen Rania knows how to pull off a coat dress with ease. Scroll down to see how royals wear four dress trends and shop similar pieces for yourself. How could you go wrong with a cute new spring dress that's also royalty-approved? Next, Meghan Markle knows the two pieces you need to dress up skinny jeans.